I have seen and heard a lot of good things about products having the "Snail" ingredient in them. 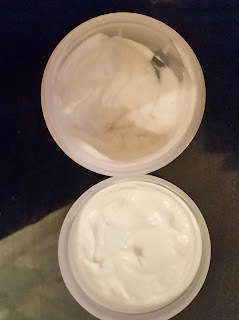 When this cream arrived it is a plastic pot with a twist off lid to access the product, the product was well packaged and was wrapped in bubble wrap. The Regenerative snail cream has a label that details on how it works and how to use. 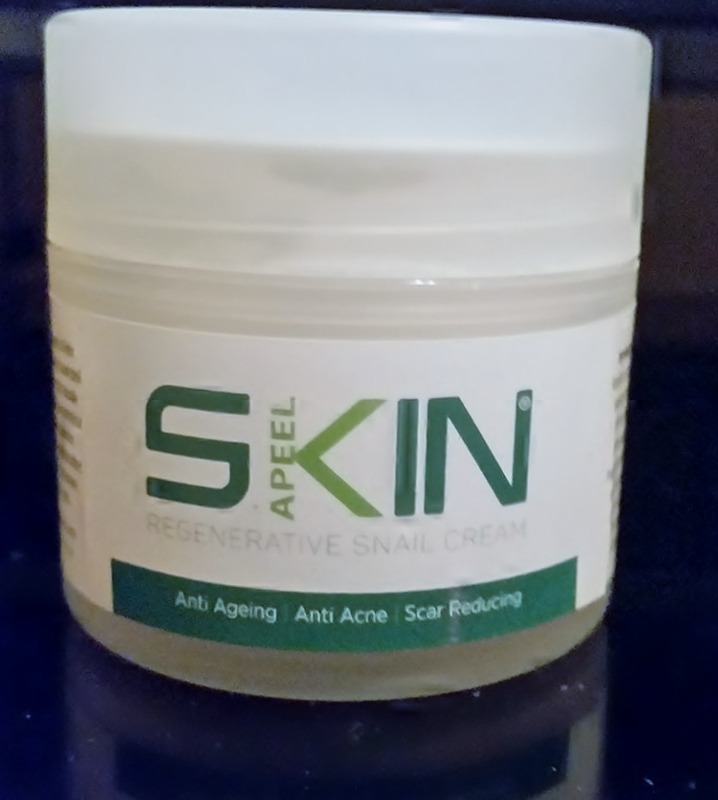 The Skinapeel Regenerative Snail Cream contains the remarkable substance of Helix Aspersia Muller, a unique ingredient the snail produces to quickly regenerate its own shell and skin when damaged. The essential snail secretions contain high levels of naturally occurring allantoin, collagen, elastin and anti-bacterial substances that all have beneficial healing, smoothing and purifying effects on human skin. This provides maximum protection from harmful outside factors. After use the skin will be brighter and smoother. After continual, daily usage, the timeless repair cream will diminish the appearance of wrinkles, scars, and stretch marks, whilst reducing acne and dark spots. Apply the cream and massage generously to the face and neck area after your daily wash. When u first open the pot you will smell this lovely fragrance coming from the cream which does smell really lovely. If your skin doesn't agree with fragrant creams and lotions then I'm not sure if this will suit you but best to send Skinapeel a message to find out. 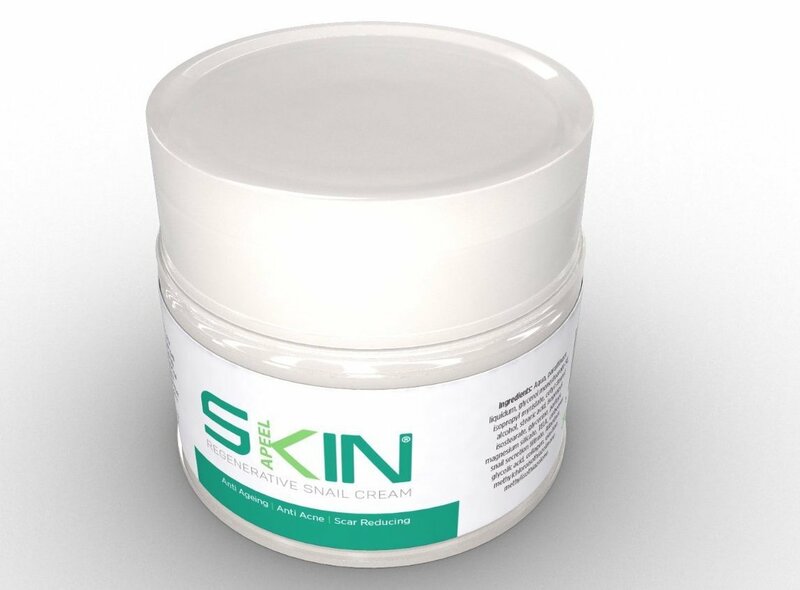 The cream is of white colour and medium consistency (i have used thicker creams) but if you are used to wearing very light creams or lotions then you will notice the difference. I don't find this cream heavy at all as when applied to the skin it absorbs really quickly into the skin and there is no residue left and your face doesn't feel like it is covered in a thick cream. When massaging into the skin i found there was little tiny particles in the cream that made this a luxury to use, smoothing and moisturising till it had been absorbed. My face felt really moisturised all day with a matte effect but felt plumped, i even had a compliment on how well my skin was looking the first day i used this! I love this product and can see the benefits its doing to my skin and all you have to do is apply it! Thanks Skinapeel for making a product that works and does exactly what it claims to do!